For the past six years (end of 2011, end of 2012, end of 2013, end of 2014 , end of 2015, and end of 2016), I have posted some year-end ultrarunning awards. 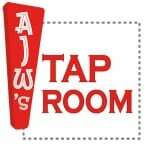 Now, I would like to introduce the Seventh Annual AJW’s Taproom Year in Ultrarunning Rankings. These are not scientific in any way and the criteria is made up entirely by me. They represent a selection of North American racers competing in events in the U.S. and abroad. My rankings, in no way, represent an exhaustive study nor do they pretend to be fully representative of all that occurred in 2017, so take them or leave them. Here goes! NOTE: For the purposes of my ‘Rookie of the Year’ award below, I consider a runner to be a ‘rookie’ if 2017 was their first season racing at a highly competitive level. In most cases, the candidates considered for this award have completed a few races in prior years but 2017 marked the first time they made an impact on the national/international scene beyond a race or two. For me, my ‘rookie’ litmus-test example is Anton Krupicka in 2006 when he came out of nowhere and won the Leadville Trail 100 Mile. 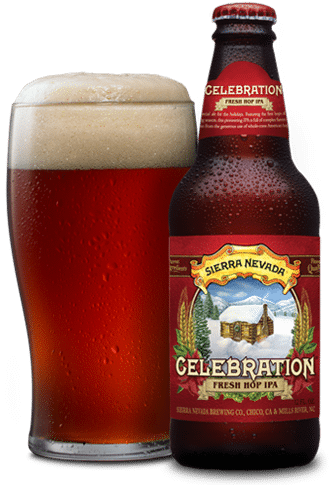 This week’s Beer of the Week is the 2017 edition of the Celebration Fresh Hop Ale from one of my favorite all-time breweries, Sierra Nevada Brewing Company in Chico, California. Every year since 1981, the good folks at Sierra Nevada have celebrated the holidays by producing a small-batch, freshly hopped IPA. This year’s edition is particularly tasty with hints of pine and citrus layered onto their traditional malt-based IPA. A great beer for the holidays! Who are your choices for ultrarunner of the year, according to AJW’s voting rules of North American runners and their competitions at ‘home’ and abroad? If you were to vote for global ultrarunners of the year, who would they be? How about AJW’s other categories? Who would be your picks? AJW – thanks for the weekly column! I always enjoy reading it. I’d have the female UROY in the same order – Herron and Dauwalter are so close, but Dauwalter seemed more consistent and the 240 mi distance is unreal to me. I would rearrange the men’s order, however. Walmsley has to take first in my book with wins at Tarawara, Gorge and Speedgoat (all CRs, I believe?). Obviously he was THE story at WS and DNF’d (along with a tough day and drop at Grand Raid). 5th at UTMB in such a stout field is still impressive and is one of two 100 mi finishes among these top 4 male UROY candidates. Tollefson has to come second with the only other 100 mi finish, beating Jim at UTMB, especially as top american at arguably the most competitive trail race ever. To me, the 5th at HK100k and DNF at AR50 hurt him a little bit here. I think the lower racing volume here is intelligent but might hurt UROY rankings slightly. I have Hawks at 3rd with successes from 50k to 100k, including the huge win at CCC. Over racing with some less than ideal results early summer(ish?) hurt a bit. I expect he’ll learn from that going forward but still bumps him down my list here. Freriks didnt have any DNFs or rough races like the other 3, but also raced less and didn’t exceed 50 miles this year, I believe. The TNF win was amazing and would probably be 4th among performances of the year. I would also disagree that he qualifies as rookie of the year – Lake Sonoma may be the only “major” he raced in 2016, but Black Canyon 100k is still a golden ticket race and tamalpa headlands isnt exactly obscure (entrants in ’16 included Reed, Roche, Bowman, Varner, Senseman, Maravilla). All four of the men and woman are incredible athletes and ranking them seems like splitting hairs given the quality of the performances. I find each of them inspiring and personally motivating for me as a runner. Thanks for the comment B Rich. Did Freriks race BC100k in 2016? If so, I missed it as I thought he only did Headlands and Sonoma. Freriks raced Black Canyon 100k in 2017, went out hard, fell back, finished. It probably turned out to be an excellent training race ahead of Transvulcania, though. His first ultra was the 2016 Lake Sonoma 50 Mile. My mistake! Thanks for the correction. Also makes my point of not racing over 50 mi moot. Camille is international class. Courtney is national class. How the hell could anyone put Courtney above Camille, even for performance of the yr? We’ve waited 20 years to see an American who can match or exceed Ann. Now it’s happening. If history repeats itself there’s going to be fireworks on the trails and at Western States in the coming years. Yeah, Courtney’s win at Moab was super impressive and all, but it’s difficult to know where it fits in the grand scheme of things with such an unusual distance. Camille’s 100 miler record was a ton more meaningful and difficult given the more extensive historical competition for that record IMO. I still am having a hard time wrapping my head around Camille finishing second in a lot of URoY ranks, not undermining Courtney’s accomplishments, but just felt the general mood was that it was Camille’s, despite her failures. What was your reasoning, AJW? Also, Celebration is spot on, so cheers! Thanks for the comment Jon. In the 10 years I’ve been voting for UROY I’ve developed a points system (not all that scientific but it works for me) that I use which is a combination of race times, place, overall depth of field, head to head results, and overall versatility (distances run, surfaces, etc…). In addition, ever since 2012 when the poll organizers began including DNF’s in the vote consideration I have added those to my calculations. In placing Courtney above Camille in my UROY ballot the deciding factor was that Camille had three DNFs at Western States, Leadville, and Les Templiers while Courtney had zero DNFs. In the end, the DNF factor gave a slight edge to Courtney. That system sounds like it really undersells a transcendental performance. A win that beats a competitive world record by an hour is worth 10x as much as a regular win + course record IMO. Didn’t realize about Courtney’s 24 hour record. That’s comparable. Caroline Chaverot dropped out of three races this year too but beat Courtney by over two hours at the Maxi race. No one in their right mind would put Courtney above Caroline as the better athlete because of DNFs. It’s hypocritical for you to write about athletes burning out for doing too much, when the two best women in the world were smart enough to put their health first.To use DNFs against someone who’s clearly an exceptional athlete shows a level of resentment and is insensitive and inhuman. Your calculations are flawed, bias, and contradictory to put someone with no competitive wins above someone with massive wins and records across trail-road-track. If you’re writing about Courtney here, I’d argue the statement as factually inaccurate. Courtney set two American records for the 24-hour distance in 2017, one of those records was something a bit over a mile from the world record. She also won the Run Rabbit Run 100 Mile beating the likes of Emma Roca and other very strong and fast women. Courtney raced a ton in 2017, and, indeed, at times she ran off the front in relatively non-competitive races, but she performed amongst strong competition, too. Dear BJ, Thanks for the comment. If I get this straight, however, you are herein calling me an inhuman, resentful, hypocrite and out of my right mind for simply voting for Courtney ahead of Camille in my UROY Ballot. Is that indeed the case? I’d be happy to discuss this with you further if you wish. Please just email me. Really cool to read. Disagree on female as discussed on social media. Guillaume is a fantasitc pick for performance of the year. And Tom Green? Couldn’t agree more. That said, I most certainly owe The Gathering another watch. Thanks for the reminder, cheers, and thanks for a great year of reading! Love the picks, and appreciate you and other voters poring over the year and making tough decisions. However, I have a some questions with the parameters limiting it to Northern American runners. I may be mistaken, but I’d heard in the past that the reason for limiting it to NA and not the world was that it was too difficult to possibly consider so many runners, and that understanding how fields and performances compare was equally difficult. I feel as though those were valid concerns as recently as three years ago, but now it seems like with the internet, live streams of European races, and coverage of runners from around the globe, that an international vote may be possible. Is this discussed at all at URMag or other polls? I bring it up because in my mind, a reality where Killian isn’t considered the best Ultra/Mountain runner of 2017 is absurd. I believe he won every race he entered beside UTMB (2nd to Francois)? And those included short fast races like the Mont Blanc Marathon and Zegama. And won Hardrock! All after he spent the early part of the summer on Everest (though that’s not running). It’s been clear Killian’s special for a while, but it seems 2017 made it clear. Are we underrating Killian now? Thanks for a great year of commentary. Curious to hear your thoughts. Cheers to 2018! Dear Alex, I have been doing this for 7 years and have based it on the voting I also do for the Ultrarunning Magazine North American Ultrarunner of the Year voting. As such, I limit this particular ranking to North American athletes. I assume there is someone else out there with far more knowledge of the international scene than me that does a similar ranking for global runners. I just don’t know who that is. Curious question. I don’t see Killian or Francois’ name anywhere. Branden – It’s only for North American runners. I was thinking the same. But there is a comment about global runners too! I’d second you on those then. François shattering the JMT FKT must have been humbling for Americans. I can only expect they will respond with a UTMB win next year :) Exciting! For women I was going to say Caroline Chaverot for her Hardrock 100 win, first non-English speaking woman win (was going to say first non-American, but Anna Frost). Then again I was hoping she would have a better UTMB. Whoops sorry, just read the North America comment lol. If this is limited to just NA then these are great selections. I think Guillaume’s performance was insane and inspiring. I also second the comments above “where dreams go to die” I have heard is amazing! I respect the heck out of Tim Tollefson – but to me, I just don’t see it. To me, he delivered a great performance at UTMB, but otherwise the resume is just a little too thin to me. First – he only ran 4 races during the entire year, which honestly isn’t much of a work load. It’s not like he did amazing in every race either. He hit the ball out of the park at UTMB, however, I don’t know if I can justify giving him runner of the year on that performance alone. HK Ultra – 5th place in a not so competitive field..
As far as my pick, I gotta give it to Walmsley. Sure, he had a couple DNF’s, but there’s no denying he was an absolute force to be reckoned with during 2017 – taking home wins at Tawawera, Gorge, Speedgoat, and placing 5th at UTMB. Good points Jim! Thanks for commenting. With respect to racing “just 4 races” a quick glance at last year’s voting suggests a trend toward honoring those who race less. The two Miller boys last year, for example. Four races totaling something like 44 hours of racing and 250 miles at three of the major four distances at which we generally compete in trail ultrarunning and over diverse terrain. Goodness, this seems like plenty of ‘work’ to me, especially at the quality consistently delivered. I’m an UROY voter for UltraRunning mag and working on my ballot, and haven’t decided where I’ll place Tim in my rankings yet. But in my mind, his body of work is plenty enough for consideration. And an interesting comment about it potentially not being enough, based on the frequent criticisms on here of those who over-race and burn out. 4 big races is a lot, even though it’s much less than what some others do. Seems to me Tim is being smart. Considering that most (all?) “elite” marathon runners generally participate in only 2 marathons a year, I’d consider 4 ultras at the level these folks run pretty substantial. I agree with Amy in that Tim is being smart and not over-racing. I think you’ll see more of this for next year and beyond. All of the four guys AJW mentioned raced 5-6 ultras in 2017, though totaling to different distances with Tollefson actually having the second highest behind Walmsley. Myke, nice data collection right there. One question: do your race miles include DNFs? If so, where’d you get the data? A few of the race distances are rounded a mile or so, not looking up the exact distances which are often slightly off what’s advertised, but since the discussion is about athletes putting together smart schedules I included the total distance the attempted, not actually completed. So I included a DNF’s full distance since their intention was to complete the full distance. If you take into account total distance actually raced before DNF Hawks/Freriks don’t change, but Tollefson would go from 307 to 295 (DNF’d at American River with ~12 miles to go) and Walmsley would drop from 457-402 (DNF’d Western with ~20 miles to go and Grand Raid with ~25 miles to go). Sorry, Jim would go from 457-412. Bad mental math. Only on irunfar would you see a field containing Yun Yanqiao, Sage Canaday, Daniel Jung, Tim Tollefson, Didrik Hermansen, Julien Chorier, and Seth Swanson among others running a race that got within 3 minutes of Francois D’Haene’s CR in much warmer, more humid conditions, described as not competitive. While Walmsley is an incredible runner and he had some good results in 2017, he became a “force to be reckoned with” because of his strava data. His exploits not the “Cowboy Loop” show what he is capable but he didn’t translate that into race results. Next year, though, I hope he takes what he learned and shows us what he can do on a good day. I’m with you on UROY, I think. For UPOY, while Moab 240 was very impressive, it’s hard to compare against anything as it was the race’s first year. I would definitely put Courtney’s two 24-hour American Records above that. Realize that at the beginning of the year the record had stood at 152 miles for several years. She reset that first to 155, then just a few weeks ago to 159.3 at Soochow — within striking distance of the WR. It’s incredible. Harder is comparing that to Camille’s Comrades and 100M WR (and her 12-hour WR at Desert Solstice was no less impressive). On the one hand, 24 hour is much more frequently raced than a record-eligible 100 or 12-hour. ( There are 4,178 all-time individual female American performances for 24 hour, vs. 975 worldwide female performances for 100M, according to DUV. There are 8,499 worldwide female performances for 12-hour, but those are mostly splits and not race efforts.) There are 24-hour World Championships. It’s a highly competitive distance (well, time). So the 24-hour AR is really more meaningful than the 100M WR. 100M is mostly an American distance, and even here most often raced on trails these days. On the other hand, Camille broke the 100M WR by OVER AN HOUR. This had been Ann Trason’s record since 1991, until Gina Slaby just edged it last year (for which she was majorly slighted in the UROY voting IMO). So… really tough call there for me. I forgot to mention, Courtney’s 159.3 is *ahead* of what the WR was at the beginning of the year, until Patrycja Bereznowska reset it to 161.55 at WCs. Bob, thanks for the comments! How about the men? Do you agree there? I don’t have as much familiarity with the men’s results. I would highlight Olivier Leblond’s new 48-hour American Record of 262 miles. This, combined with his USA team-leading 160 miles at WCs and his Umstead win, earned him USATF master’s road ultrarunner of the year. Perhaps none of those are in the same league as the UPOY candidates you have listed, but they should be relevant for UROY voting. I agree that Olivier Leblond’s 48-hour American Record at Icarus deserves some love! I also wanted to flag that Comrades marathon had 17,031 entrants. Moab 240 had 127. I think Camille’s performance at Comrades merits serious consideration for UPOY. One of the questions I found myself asking when answering this question is: How many elite American Female runners could have did what Courtney did this year. (“could”) and I think the answer is quite a few. How many could have did what Camille did? None. All these performances are amazing and worth accolades. I just think winning Comrades alone would be enough. What if an American woman had won UTMB? She’d certainly win (unless she was extremely unpopular or ruffled many of the voters feathers). Also absent from this discussion is Sandra Vi, who broke the transcon record and won Badwater. Although I think Camille edges her for UROTY, she should be in the discussion. Hey Scott, thanks for the comment. Sandra’s Transcon Run, while amazing, is in the FKTOY category and not UROY. Voters are asked to keep their scope limited to races. As for the rest of Sandra’s body of work, the win at Badwater was solid and two other flat noncompetitive 100 mile wins were great. Her 25th at a not so competitive AR50, however, can’t be overlooked. These rankings are tough these days! I don’t think many female American ultrarunners could have done what Courtney did with the 24-hour American record in 2017. For a number of years, a couple top female American ultrarunners were knocking around in the 149- to 151-mile range before Sabrina Little broke the barrier into 152-plus miles four years ago. Now this year, Courtney surpassed that twice, both times not by meters but miiiiiiiles each time. Courtney’s two 24-hour efforts rank higher on my personal UROY/UPOY ballot than her Moab 240 Mile result for the simple reason that there’s not yet an objective comparable for her 240-mile run while there are decades of global and North American history to which we can compare her 24-hour efforts. I mean, I live outside of Moab and know all the terrain she ran on and I think her 57 hours is super fast, but that’s entirely a subjective judgement at this point. That’s insightful Of course it’s all speculation. I agree with Meghan. Consider that in 2016, no American of either gender broke 150 miles in a 24-hour. It is really not that easy (trust me!). And 159 is in a whole ‘nother league from 150. Actually there is one comparison I can make for Courtney’s Moab. It was 57:55 for 238 miles. By contrast Traci Falbo’s 48-hour AR is 242 miles. Close to the same distance, 10 hours longer… but that 48 was on an indoor track. Moab had 29,467 ft of gain and loss. Courtney Dauweiler and Camille Herron had both exceptional good years. I think it is impossible for me to vote for the big 159.3 miles in 24 hours of Courtney against Camille’s win at Comrades (probably the most competitive road ultramarathon besides World Championships) and her 100 mile World record. I say this is an incredible tie of top notch women power! Well done Camille and Courtney. As a note: Ann Trason’s 100 mile world record in 1989 in13:55:02 h was run as a split in a 24 hour race. She kept moving for another 43 miles or so after that. Camille for female UROY. I would her Camille’s Comrades and 100 mi WR ahead of Courtenay’s Moab win/24 hour. I personally think it is harder to nail a race like Comrades or the 100 with a faster effort, as opposed to a slower pace across 240 miles. It is easier to make comparisons for Camille’s races. There is obviously a bit more versatility in Courtenay’s efforts: her bear chase 6:30 is pretty underrated shortly after winning RRR100. Hats off to both for an incredible year. I am picking Jim for male UROY. Early season dominance combined with a strong UTMB finish. Jim is hard to beat under 100K. I would like to take this opportunity to again propose consideration of Spartathlon as one of the “majors” for UROY criteria, given the race’s unique history, the level of competition (comparable to 24-hour World Championships), and tight cutoffs (36 hours for 153 miles, with much tighter early cutoffs). This year, however, there were no truly outstanding American performances (though Phil McCarthy did run a very solid 28:41, with the excellent weather and record performances this year, that only earned 23rd place). If anyone thinks four races is a “light workload” consider that the best marathoners in the world only run two races per year, and they are doing it for a living. Rather than fault folks for racing 3-4x per year in ultras we should reward them to help fuel a trend towards longerivity in the sport. Curious AJW – you considered CCC more competitive than Transvulcania or North Face? I think the three (CCC, TV and NF) are comparable in terms of competition. If you haven’t submitted your picks already I’d suggest comparing the CCC field to those at TV and TNF. Freriks TV or TNF wins were superior in terms of the competition I believe. Look how stacked TV was! Freriks win there was special. He beat 3-4 of the best 6 or 7 male ultrarunners in the world. We are talking multiple UTMB winners. The best marathoners race so little because their sport is incredibly competitive and in order to make a living from it a fast PR is as important or more as a victory (higher appearance fees, money from sponsors, better racing opportunities, etc.). It’s not a matter of workload but of performance. Me, I don’t think any other woman came close to Camille. We’re talking World Records and Comrades. Super strong times and winning the most competitive ultra in the world. Should be game over. Exactly Nelson. It’s a matter of performance. I agree with you. Great point about Transvulcania. People often forget how competitive that race is. Didn’t Tim come really close of Luis Alberto’s CR? And wearing road shoes, which is old school and badass. Tim F is the American male ultrarunner I’m more interested to follow in 2018. Tim is an incredible runner and had a heck of a year, but I think Walmsley edges him by a hair for #1 overall. I just think that Tolleffson needed a few more strong performances in competitive fields to get that #1 spot, that’s all. Again, not taking anything away from him at all, just think he needed a few more strong performances against top competition to really take that #1 overall spot. call it what you want, but Mark Hammond’s year is typical of an old speedgoat year where he gets no respect. High volume, great times, just a little low on some comp. It’s not a popularity contest people….Olivier LeBlond too, another guy on the east coast we never hear of, but killed it all year. Did you just compliment yourself Karl? Ha, funny. I guess it could sound like that, but if you compare it to the days that Scott Jurek edged me out for UROY a few times, it’s sort of the same thing. Utah typically does not get as much respect for some reason. We typically fall under the radar a bit. But no Ben, it was not a “compliment” of myself per se, just an insight that only myself would understand. Like many skiers on the east coast, they go “out west” to ski, which means Colorado, but Utah skiing is far better than 98% of Colorado resorts, we just have wierd liqour laws. Another subject…Great commentary as always. No disrespect Karl ( I am a huge fan of yours) but Scott Jurek was great on trails and roads with 3 Spartathlon wins and 165.7 miles over 24 hours, the US record at that time. No disrespect at all, :-) But many years I was second in the voting, I won 5 100s, and had other great performances, Scott had 2 at most. The year I won the vote in 2006, I won 6 100s, broke 4 records, was second at MMT, (which was my best run of that year, except San Diego 100, and I won the vote by only 2 votes. Scott was second running only a couple races. All I’m really getting at is the popularity vote still wins in most cases. All good, I have no complaints regardless, it’s great conversation. You’re gonna break your arm patting yourself on the back like that, Karl. It’s a criterion, several criteria. Please. Also, have you changed your criteria since last year? Sorry, I always mix up those two. As for changed criteria this year; I eliminated the “major” provision as the sport has become so scattered recently and I also set no minimum or maximum on the number of races an athlete completed. This is a great discussion and it is very encouraging that we do not see many personal attacks, rather a meaningful discussion. As great as our sport is, it is also very diverse. I keep track of trail races a lot, yet i would have never chosen Guillaume Calmettes’s win at Big’s Backyard Ultra as a performance of year. One, i have never heard of Guillaume Calmettes. Two, I have never heard of Big Backyard Ultra. It is very clear in my mind that nothing tops what Tollefson did in UTMB in 2017. I read so many comments bringing up so many other runners and races and FKTs and how do we really make any sense of that? I think people can appreciate more the distances that they did themselves and others seem just more of a novelty. I did 50 milers and 50ks so it really hard to value Courtney Dauwalter’s win at the Moab 240 Mile over win in Comrades. To me 240 miles seems more of a multi day hike then an actual running event. I had never heard of Guillaume Calmettes. Big Backyard Ultra is a Lazarus Lake special, like Barkley, Vol State, and a few others. Having witnessed that race (online), I would heartily second Calmettes’ win there for UPOY. It is no doubt as hard for 50k – 100M runners to grasp what is required for 24-hour, 200+, or a last-man-standing thing like BBU as it is for most marathoners to really comprehend what is required to run a 100. It’s a different world. Yes, 200+ can be a multiday hike. People often take upwards of 100 hours to finish them. But when you do 238 miles in 57 hours, that is not hiking. But I agree with you that it’s hard to evaluate this performance, because there is not a lot to compare it to. Her 24-hours are another matter. it’s just about over 4 mph, which is “almost” hiking fast. It is fair to say that a 240 mile race, even in 57 hours is a hike/jog. It’s very tough to compare this being the first year. Next year if someone remotely fast does this race, we’ll have a much better comparison. Incredible performance by Courtney any way you look at it. 4.21 mph over 57 hours is pretty quick over this kind of terrain. But you are right, the next years will show if this was an excellent performance or not. Damn. This is so far off and clearly biased. Subtracting points for DNFs? Where’s the sensitivity to someone’s health? Imagine if they did that to Ann, DNFing her first two Western States? Would you do that to Hillary Allen too? Camille had serious accidents. No one else in the sport (or ever?) could have achieved what Camille did beating the best in the world across trails, road, and track. She’s the modern day Ann. Joe, I understand your point but the rules are clearly laid out for the voters. And, to be honest, before we included DNF data in the deliberations the bias was often worse. In this specific case I, one of over thirty UROY voters, looked at all the available data and made my selection based on that. I fail to understand how that is biased. Camille had 4 historical, competitive, international level wins/performances (including an Ultra Trail World Tour win over Magdalena in Feb) vs a sorta competitive win for Courtney at Soochow (she was 18th at the 24hr World Championship, which is dismal for someone who broke the AR earlier in the yr). 24 hrs and 200 milers aren’t nearly as competitive as 100 miles and below. Camille’s performances were World class vs National class for Courtney. We should respect what it takes to achieve World class. Overracing isn’t the answer to achieving true greatness. Camille’s competitive wins and records are far superior to any number of small domestic trail wins. Joe – Can you explain these serious accidents you spoke of? Three weeks after her third Trail DNF of the year at Les Templiers was her record-setting flat run at Tunnel Hill. If she had serious health issues it seems odd, from the outside looking in to be fair, that she could bounce back and run so long and fast three weeks later. Camille is clearly awesome at flat(ish) ultras or basically anything on the roads. She just may not be as great, relatively speaking, at mountainous trail runs. In addition to her three DNFs this year we have other data points to back up this theory. She has even expressed similar sentiments saying something along the lines of “I know I can run on the trails”. It’s great she is going to try and continue proving the doubters wrong. I think that shows a growth mindset which is fantastic. Did Ann win UROY the year(s) she DNFed? Very much enjoyed all of this and the amazing takes possible on everything that runners did. At the least, it adds to remarking how amazing they all are. The lists may never be “right,” but I think doing this promotes excitement for the sport and greater awareness and interest. And thanks for the civility in exploring differences of opinion!! I’ve ran some races with Mark Hammond a few times and I must say he is simply incredible. I got to know him a little after seeing each other at these races, such a humble guy. Cool little story, but he actually got lost around mi 20ish at the 2016 Bryce 100, he went passed me at that point and I was super surprised, after that he went on to crush the race.If any of you have ran that race, know this; once he passed me, I got to pink cliffs (mi 50ish the 1st time…it’s a out and back) and he was already coming down that…insane to get lost and still crush a race like he did! AJW- you should have a best runner not to be “sponsored full time” section because Mark would easily fit that category. Tollefson & Freriks have full time jobs. All good picks, with the one exception of female FTKOTY. I’m not sure how Cat Bradley’s R2R2R can possibly top Sandra Villines’ transcon, where she ran 57+ miles a day for 55 days straight, and knocked two weeks off the (admittedly soft) prior record. Sure, the R2R2R is a great and iconic run, but the transcon is the ultimate FKT run in my opinion. I was out with Sandy for 5 days during her run (through Iowa), and what she did was absolutely amazing. Since when does an Ultra Trail World Tour win not count as true trail? Camille smashed it at Tarawera for the course record against Magdalena and others. She crushed current and past (Ann) competition in four of six ultras at a meteoric level. Courtney has no major competitive wins. There’s no doubt Camille is the better quality athlete and made huge history this year. In no other sport would they pick a lower level athlete over the home run king/queen. Top mountain runner Caroline Chaverot also DNFed 3 times this year for health reasons. No way should we be penalizing for DNFs, while over-rewarding for quantity. Too many athletes are lost due to overracing/injury, which ironically AJW himself recently wrote about. Comments posted here are definitely very entertaining but i do get the feeling that majority of them are posted by the mid- and back-of-the-packers. We did have a few (mostly former) elites comment but the main characters for this year did not really speak up (at least under their real names) about what they really think about that voting and how they rank each other. It would be amazing if we had Wamsley, Tollefson, Herron and other top runners actually speak up. It would be great to also hear from the sponsors like Hoha, Nike, Salomon and others what they think about the contest and how it increases the marketability of the athletes they support. I’ve also been wondering why Olivier Leblond’s truly amazing 48 hour result has barely been mentioned. It is not at all often that we see the 400k mark surpassed let alone by that sort of margin! I am actually surprised that it was mentioned much at all, given the relative obscurity of the 48h race compared to these others…but it is interesting to note is that he didn’t choose an easy course on which to set the record. This wasn’t a race track, it was a 1.0408 km loop that meandered through a park. It was hot and exposed during the day and dark at night (the course is not fully lit as a track would have been.) And there really wasn’t anyone there racing and pushing him. It was just Olivier and his goal. It would be interesting to see what he could do on a track surrounded by a competitive field of runners. Especially now, knowing what it’s like to run for 48 hours…since it was also his first attempt. And although 48h is probably an uncommon measurement, he truly had a fantastic year at more commonly measured times and distances as well. 48 hour races are not well known in the US but obscure they are not. Loop courses on mile long courses are quite normal for multiday races and you don’t need much light to run on paved path. In this kind of race you don’t need anybody pushing you, you have to do your own thing anyway. Here is the list for the men’s world best performances. Oliver did quite well. Gotta put Walmsley’s runs at Tarawera and Gorge up there for performance of the year. Gorge was especially impressive, seemed like he was only interested in getting his golden ticket and still put 50sec a mile on the course record. He may not have nailed the hundo yet, but the dude seems untouchable 100k and below. I wish Walmsley would run TNF50 with all the other speedsters. Seems like it’s the deepest field in the US every year. I LOVE that you put Camille at number 2. I think she should be number one, but I know if she actually finishes 2nd in the rankings, she’s going to rant, and complain and make a big scene on all the relevant forums like she’s done in the past. We will all be getting our popcorn for THAT meltdown. I almost feel like putting her 2nd was a ploy to generate more comments, critiques and criticisms. But with clicks and ad revenue being what it is, I totally understand the decision. Conversation on this article has been going generally so well, civil and constructive conversation between people with different opinions. There are a few comments in the last couple days that aren’t constructive and in the spirit of the community. I’m hoping the conversation can continue forward in a civil manner and according to iRunFar’s comment policy, https://www.irunfar.com/irunfar-comment-policy. Thanks so much and happy holidays! Thanks for adding this Meghan. I’d rather view and participate in constructive conversation. Everyone is entitled to opinion, just a shame to view personally/socially vindictive comments. Appreciate you doing your best to keep the conversation clean. Darcy’s FKT on the John Muir Trail was stout. Just saying. Re: the men’s ranking— echoing some of the comments above, it definitely seemed like 2017 was a big breakout year for international runners, with the caveat again that I’m pretty new to following the sport and don’t know a ton there. But I was definitely surprised to not see Kilian Jornet and Francois D’aene up there, until I saw the mentions in the article and comments that this was limited to North Americans. You mentioned the North American limitation in the article twice, but may I humbly suggest editing the title to something like “Seventh Annual AJW’s Taproom Year In Ultrarunning Rankings: 2017 (North America Edition)”? I am very surprised that nobody even mentioned Magdalena Boulet who was 2nd in Western States, Lake Sonoma and Tarawera ( and 19th in UTMB is not exactly a small thing either). That certainly seems like a stronger resume than Clare Gallagher’s and even Courtney Dauwalter’s. I would think that she should be ranked at the second place along with Cat. Camille Herron is a clear winner of this contest but Magdalena definitely deserves some love on this forum as well. Very solid season, F2 is incredible. Sort of an interestingly analogous season to Magda – strong 100ks to start, each had a demonstrative race (F2 @ WS and win at CCC – of which I would say CCC is stronger, since its 1st), one rough race each (UTMB and DNF @ WS). So I guess, to me, the tie breaker is in Gallagher’s favor with the North Face performance. A pair of american records, an effort we don’t fully know how to guage (because its an effort so long (plus vert) not many people have run it – in the sport of long distance running…), competitive 100 mile win, and then a whole slew of other strong performances. Tons of racing, very few (no?) DNFs/poor performances. If I were voting, this is where my money would be. As has been stated above, also an incredible year. I suspect this comes down to the weight of DNFs/inconsistencies for many voters. *Added rough mileage for ultra distance races, some context compared to the gentleman above – may be missing some results. Didnt calculate distance at which racers dropped. Did you really just say that winning CCC is a stronger performance than being 2nd in Western States? Did you also meant that being 19th in UTMB is a equally disappointing performance to dropping from WS? Frankly, I stopped reading your argument after that. Take care. I’m tempted to rearrange the men’s results, but I’d probably find a way to disagree with that list as much as I do yours. I’m also of the mind that Camille’s performances were more world-class and she has to go #1. Such a great year for women’s ultrarunning, I’m glad we have the opportunity to disagree over who was the most outstanding in their dominant, record-setting runs.